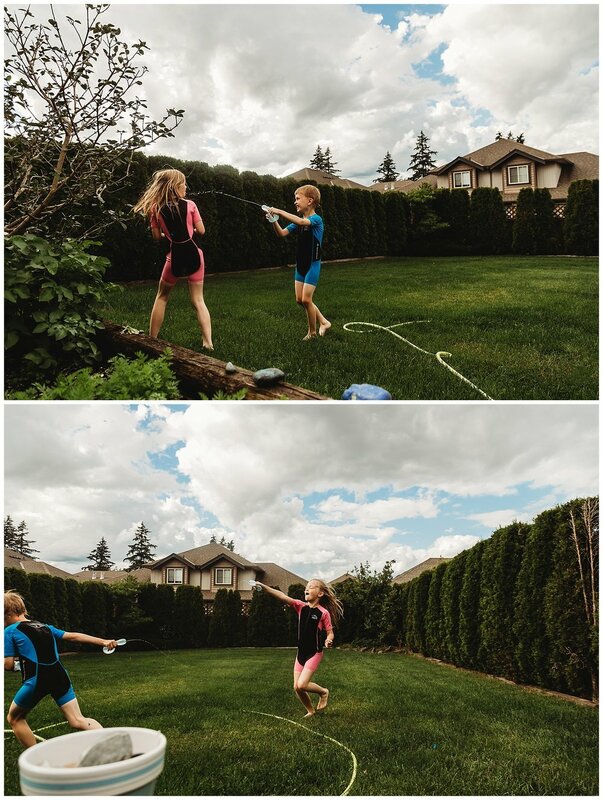 It's not summer without a good water balloon fight! We finally decided to try out these bunch-o-balloons, they are pretty great. Just attach to the end of the hose, fill up and you are good to go. Nice and quick. Much easier than having to fill up one water balloon at a time. I'm sure we'll grab more to have fun with during the hot summer days. See for yourself, the kids had a great time. This blog post is part of a monthly 10 on 10 blog circle. Head on over to Caroline's page here to check out her July 10 on 10.